Father Tim retires. 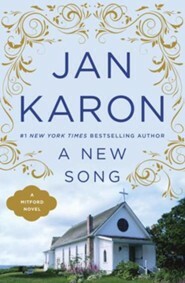 But when this long-time Episcopal priest agrees to serve as interim minister of a small church on Whitecap Island, he discovers new challenges and adventures---and another group of unforgettable characters! Are you ready to be introduced? 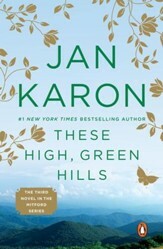 Jan Karon, born Janice Meredith Wilson in the foothills of North Carolina, was named after the title of a popular novel, Janice Meredith. Jan wrote her first novel at the age of ten. "The manuscript was written on Blue Horse notebook paper, and was, for good reason, kept hidden from my sister. When she found it, she discovered the one curse word I had, with pounding heart, included in someone's speech. For Pete's sake, hadn't Rhett Butler used that very same word and gotten away with it? After my grandmother's exceedingly focused reproof, I've written books without cussin' ever since." 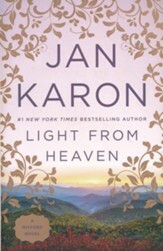 Several years ago, Karon left a successful career in advertising to move to the mountain village of Blowing Rock, North Carolina, and write books. "I stepped out on faith to follow my lifelong dream of being an author," she says. "I made real sacrifices and took big risks. But living, it seems to me, is largely about risk." 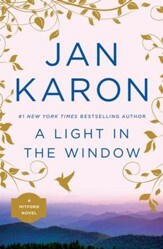 Enthusiastic booksellers across the country have introduced readers of all ages to Karon's heartwarming books. 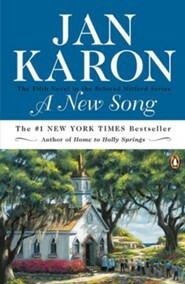 At Home in Mitford, Karon's first book in the Mitford series, was nominated for an ABBY by the American Booksellers Association in 1996 and again in 1997. Bookstore owner, Shirley Sprinkle, says, "The Mitford Books have been our all-time fiction bestsellers since we went in business twenty-five years ago. 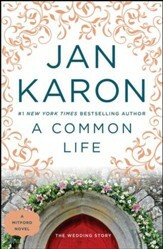 We've sold 10,000 of Jan's books and don't see any end to the Mitford phenomenon." I'm the author/artist and I want to review A New Song #5.